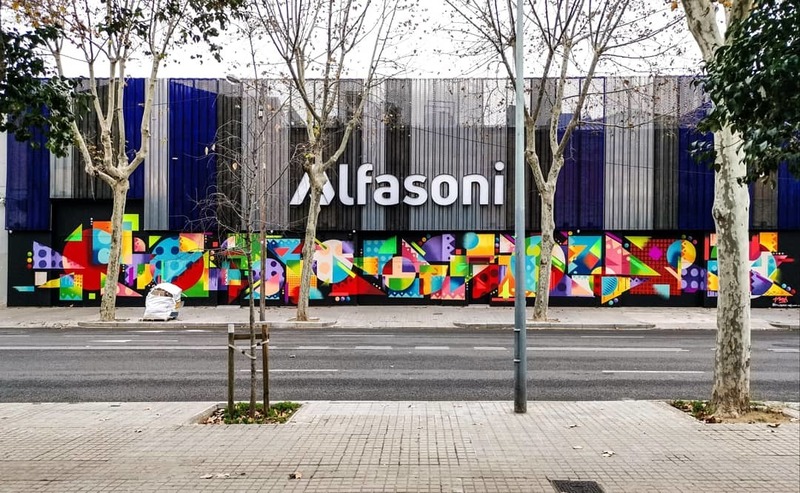 2019 is kicking off with the second edition of Wall Lab, in which Tim Marsh has taken part to create a large mural on the outdoor walls of Alfasoni, a music company located in Clot neighbourhood (Barcelona). 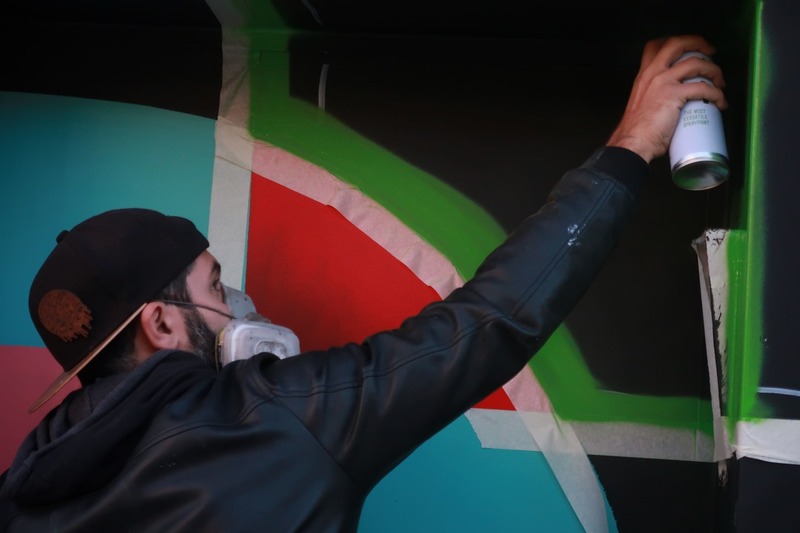 Tim Marsh was selected by Wallspot to participate in Wall Lab and he has transformed with his unique style the big grey walls into a bright and colourful mural that catches the eye. As a result, the building stands out from the urban landscape and brings new life to the street. Wall Lab is progressing and bringing new opportunities for artists to professionally promote their work.